Below you can find two different types of package deals. 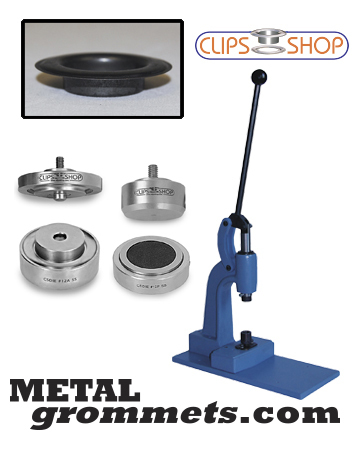 One includes the CSBUR-1 Strong Hand Press, setting die and grommets of whichever color and size you choose. 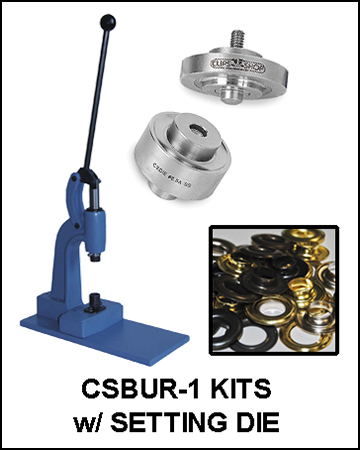 The second offers the CSBUR-1 Strong Hand Press, hole piercing die, setting die and grommets of various colors in sizes #7.5, #8.5 and #12. 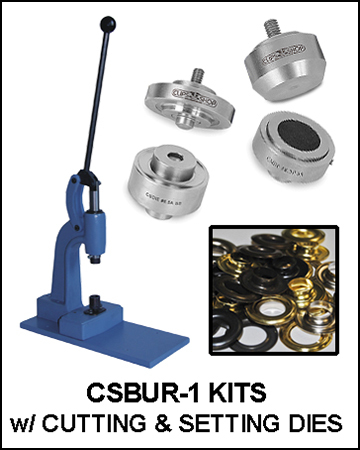 ALL CSBUR-1 PACKAGE DEALS INCLUDE FREE GROUND SHIPPING! 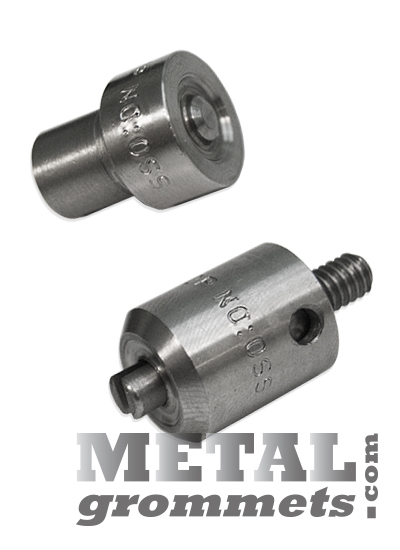 Please note that larger grommets require a pre-cut hole to pierce most materials.